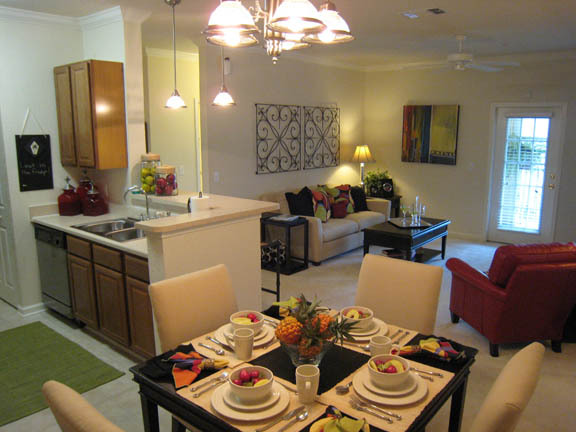 Imagine your new home, in the perfect setting, conveniently located in Melbourne minutes from the beach, Palm Gardens Golf Course, Melbourne International Airport, and Florida Institute of Technology. Melbourne is one of the fastest growing cities in this region and only continues to grow with more and more opportunities. Perfect for singles, couples, and families, you're sure to find exactly what you're looking for in your home and The Haven of West Melbourne just may be it! 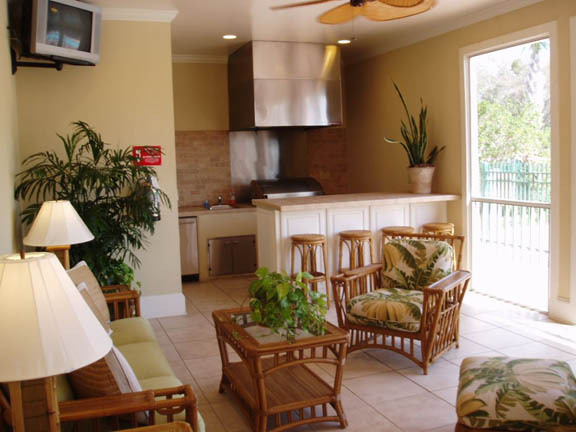 This coastal community offers spacious 1, 2, and 3 bedroom furnished units ranging from roughly 830 square feet to roughly 1390 square feet and offer residents the choice of month-by-month lease agreements or full-year lease agreements. Lying below the 9 foot vaulted ceilings at The Haven are full kitchens with built-in microwaves, black appliances, smooth surface countertops, and a breakfast bar for residents to take a load off for a bite to eat. 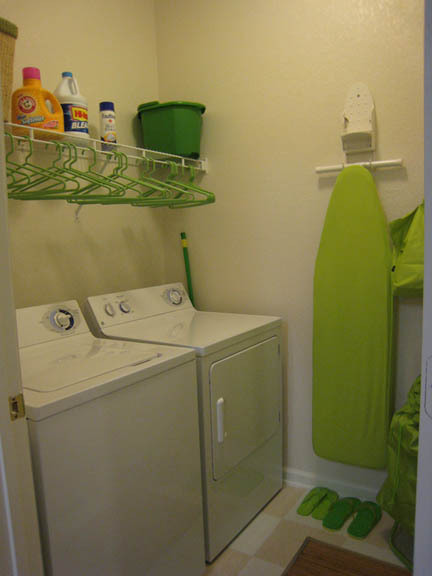 For those residents that like to be productive even during their downtime, you'll love that each unit comes with full size washers and dryers so that you can pop in a load of laundry even when you're just relaxing on the couch, working at home, or grabbing a bite to eat. 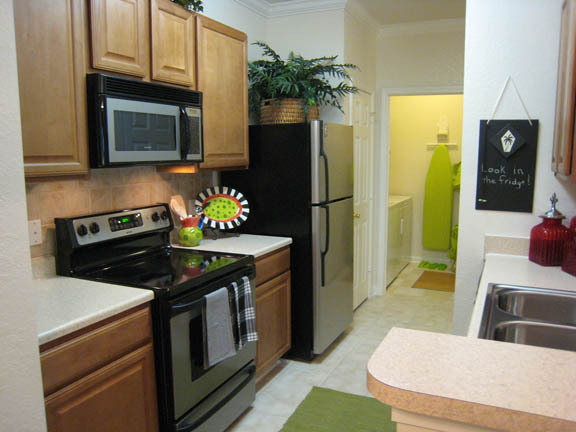 Each floor plan at The Haven also comes equipped with large walk-in closets to make it easy to keep everything organized and residents can also opt for a detached garage for not only storing their vehicle from the elements, but also for additional space to residents to keep sports equipment, tools, or anything else that they would prefer not to keep in their house. Finally for those warm summer nights or comfortable spring and fall days, head out to your private balcony and enjoy some fresh air with a friend or a good book. 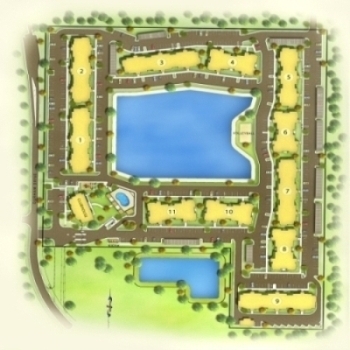 Just within the gates of this beautiful lake view community is a ton of amenities for residents to enjoy. For those Florida summers, The Haven provides residents a resort-inspired pool to catch a few rays, take a cooling dip, or swim a few laps as well as an outdoor gourmet kitchen for those cookouts with friends, neighbors, or family. If you love to look tan, but don't want to sit out for hours at a time, it's your lucky day, there is an on-site tanning center on property to take advantage of to keep that nice bronze color all-year long. If you're looking for something more active outdoors, grab a few friends or neighbors and head over to the volleyball court and start up a quick game, it'll be a fun and healthy activity for all involved. 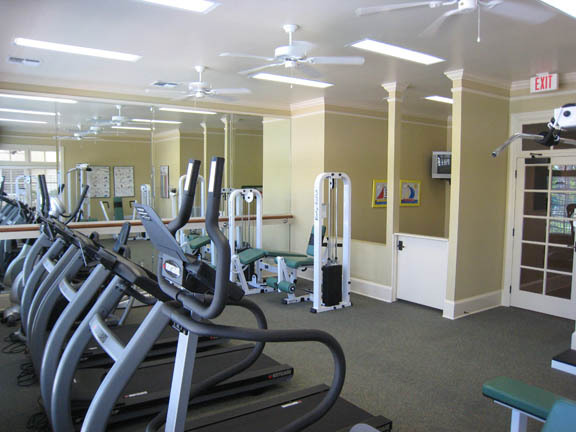 If you'd rather get your workout on indoors, don't fret, there is an on-site fitness center for residents to use at their convenience. If you're the type who enjoys surfing the internet, head over to the Wi-Fi café and find a fun new activity or attraction nearby to explore. The Haven didn't forget about your kids! Bring them to the children's play park on property and give yourself a little break from the constant entertainment and let them, and you, meet some new friends! Your New Home at The Haven Awaits! The Haven is where you want to live. 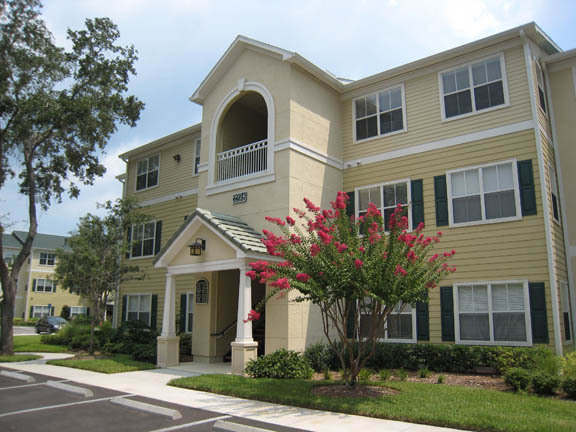 With their convenient location nearby I-95, the Intercoastal, and numerous attractions for residents to enjoy as well as loads of amenities within the community, it really is a great choice for your new home. Take a look at where they're located, what they offer, and schedule a tour today! We've sent your message off to The Haven of West Melbourne. If you'd like to chat with the staff immediately, feel free to call them at (888) 955-4853. If you would like to chat with the The Haven of West Melbourne staff before your tour, you can call them at (888) 955-4853. We're checking availability for you now! Someone from the leasing team will contact you shortly. Meanwhile, please feel free to call The Haven of West Melbourne at (888) 955-4853.